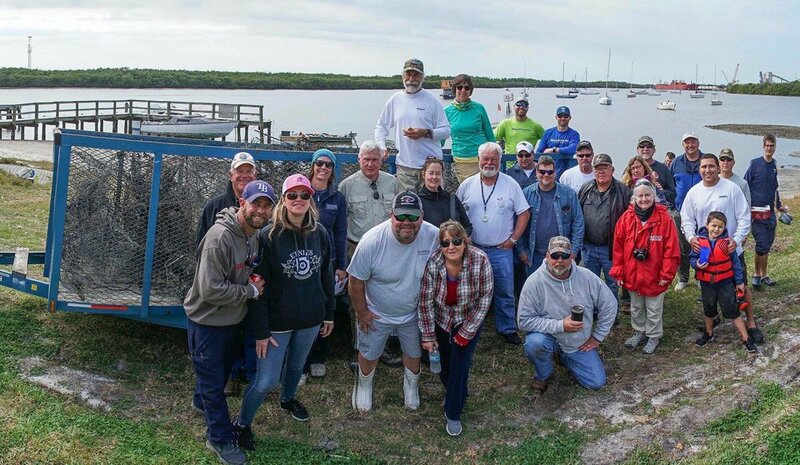 RIVERVIEW, FL, February 3, 2018 --Thank you to the volunteers and Tampa Bay Watch for sponsoring a successful derelict crab trap removal! Six volunteer airboats and 25 volunteers removed 84 traps, over 900 lbs of gear, from Tampa Bay! A special thanks to Florida Airboat Association, Kissimmee River Valley Sportsmen's Association, T.A. Mahoney Co. INC., & Covanta for their support of this important project.